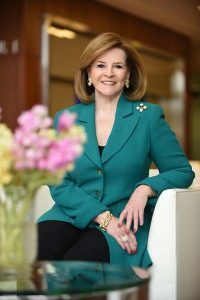 When she was vice president of global sales operations for IBM Global Technology Services, Patricia J. Mitchell led worldwide sales operations for the company’s consulting and services organization. Now, in retirement, Mitchell is leading the Greater Baltimore Medical Center, the Center Club and KCI Technologies, where she serves as chair of the executive compensation committee. She is also a member of the Maryland Advisory Board of SunTrust Bank. Terry Neimeyer, CEO of KCI, says she encouraged him and many others to become a Tocqueville donor for the United Way. Mitchell has spoken at national and international executive conferences on the topics of leadership, liberal arts and STEM education, competitive differentiation and strategic planning.